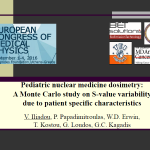 IEEE NSS/MIC conference , 2 November 2016 , Strasbourg, France. 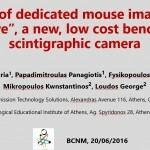 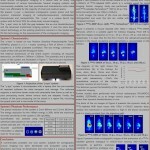 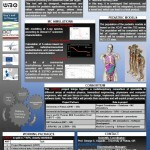 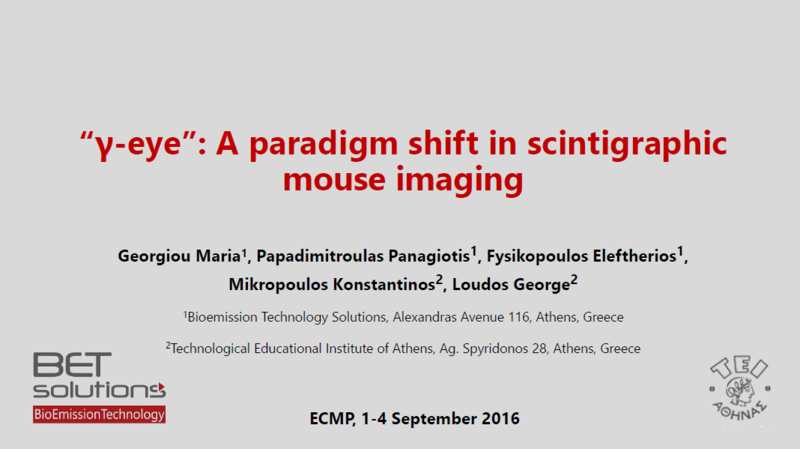 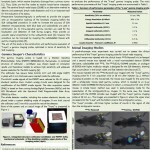 “γ-eye”: A paradigm shift in scintigraphic mouse imaging. 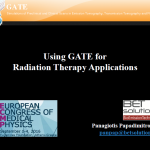 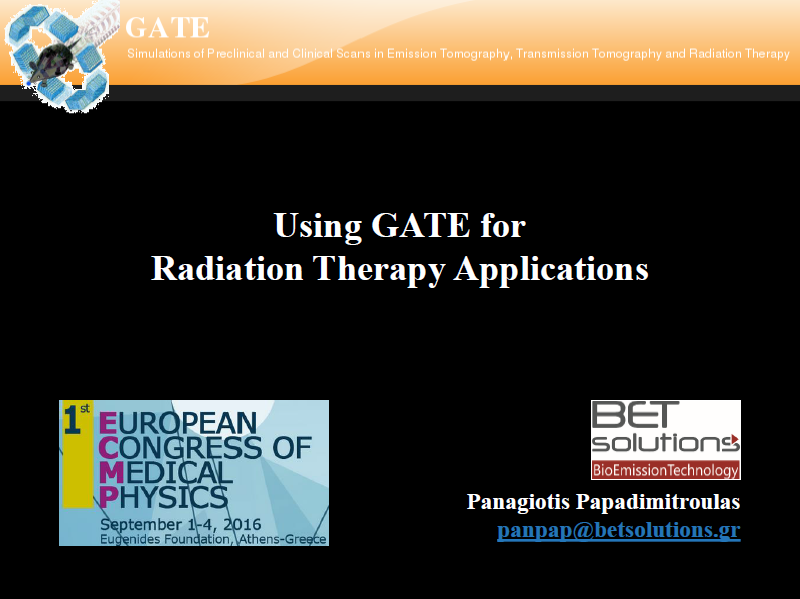 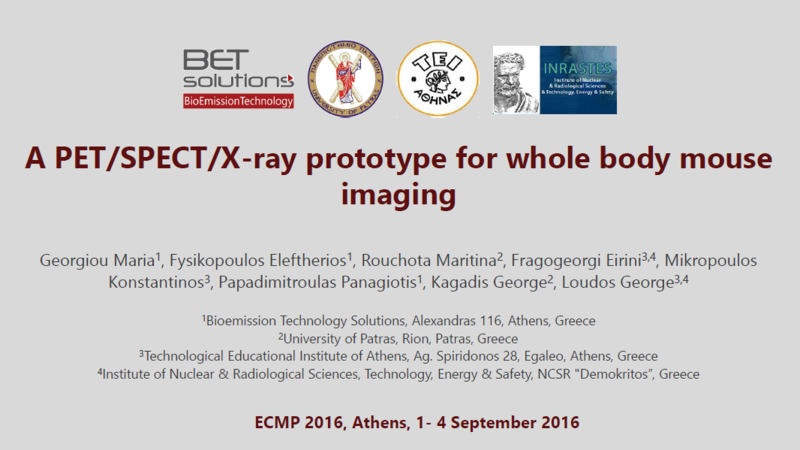 1st European Congress of Medical Physics, 1-4 September 2016 , Eugenides Foundation, Athens, Greece. 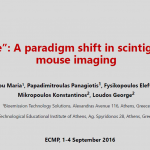 Latsis Symposium on Personalised Medicine, 27-29 June 2016 , ETH Zurich. 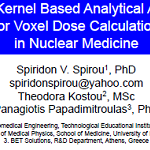 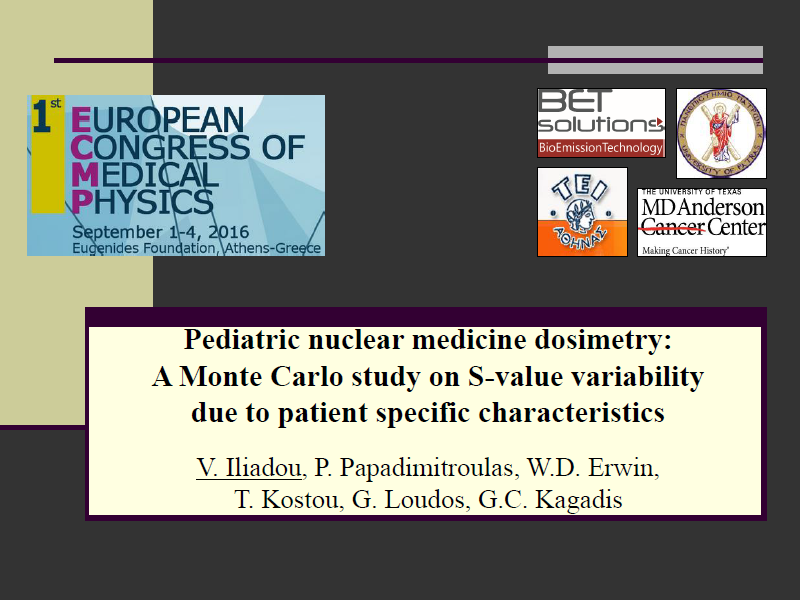 Balkan & National Congress of Nuclear Medicine (BNCM), 17-20 Jun 2016 , Thessaloniki, Greece. 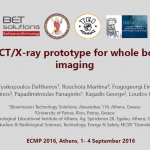 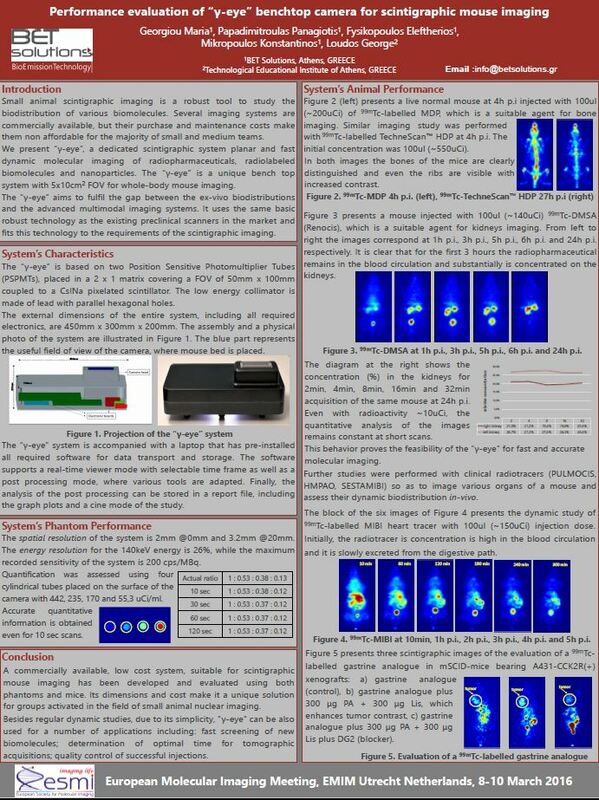 European Molecular Imaging Meeting(EMIM), 8-10 March 2016, Utrecht, Netherlands.